Quick Take: The X Factor, "Episodes 1 and 2"
Review: The X Factor, "Episodes 1 and 2"
(S0101 & S0102) Even before the actual auditions took place, The X Factor was already looking like a flashier version of American Idol. Substitute Pepsi for Coca Cola, Verizon for ATT, and L.A. Reid for Randy. Follow that up with a cup of The Voice, a tablespoon of America's Got Talent, and a pinch of Shark Tank and you've got the X Factor. And although we've seen it all before, Simon Cowell's new singing competition is still good fun. The judging panel consists of Simon Cowell, Paula Abdul, L.A. Reid, and Cheryl Cole (later to be replaced by Pussycat Doll Nicole Scherzinger) while the Seacrest of the show is British television host Steve Jones. It almost goes without saying that if you're a fan of American Idol, than you'll love the X Factor. Just like in that other singing competition, the auditions range from, "That was amazing!" to "Good God, make it stop!" The prize is a lot cooler. In addition to their own Pepsi commercial, the winner will receive a ginormous $5 million recording contract. As the season progresses, each judge will become a mentor to a group of contestants. The contestants are split up into four categories: Boys, Girls, Over 30, and Groups. Unlike Idol's closed door auditions, X Factor contestants perform on a giant stage for a packed audience. So what about the X Factor did I like? One of the better parts of the show is the give-and-take between Simon and L.A. (and how hilarious are L.A.'s closed-eyes head bops?). 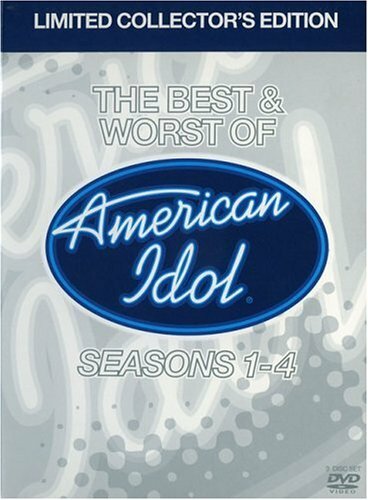 I'm also a sucker for the really good auditions including precocious Rachel Crow and Beyonce-belting Melanie. So far the ladies are the stand-outs, but I'm crossing my fingers for a really talented group act. But perhaps the most surprising part is how much I don't hate Nicole Scherzinger. I usually find the former Pussycat really annoying, but so far... not so annoying. Of course there were some low moments for the show, particularly when a gross middle-aged dude thought it would be a good idea to sing an original song while showing off his ding-dong. For the first and probably last time, Paula Abdul and I had the same reaction: near vomiting. I'm also over the contestants who act like they're the next big thing, when in reality they're awful; or worse, the contestants who aren't too bad but cop a bad attitude with the judges. I'm talking to you Xander Alexander! I could also do without, what I've dubbed, the X (ray) box. Contestants and their families talk confessional-style to the camera while surrounded by a fuzzy white light. It's distracting. Just talk to them backstage, please. So there are my first impressions. Will you be checking out the X Factor or does your heart belong to American Idol? For all the TV I watch and all the reality TV I enjoy, I've never been a fan of American Idol or Dancing With the Stars. Even though I love competition shows -- The Apprentice, Survivor, and even sillier fare such as Hell's Kitchen -- I lose interest in the watching of the singing and dancing and such. That said, The X Factor seems to be a reasonable attempt at an update to American Idol, and wouldn't be surprised if Cowell pulls off surpassing his former home. Agreed. I'm sometimes embarassed at how much reality TV I watch (why can't I quit you Dance Moms! ), but I really like So You Think You Can Dance? and The Amazing Race. I'll probably stick with X Factor to see how the judges interact with the contestants, plus Simon Cowell was always the best part of American Idol.